Ken Yeadon uses his experience as a former Assistant U.S. Attorney and SEC Enforcement Attorney to provide defense, representation, and advice to individuals and corporations on any number of criminal, securities, health care, and civil regulatory matters. Drawing on his criminal enforcement and civil regulatory background, Ken assists individuals and companies in responding to inquiries from the DOJ, SEC, HHS-OIG, and other government agencies. He has also conducted internal investigations involving sensitive and high-stake matters. 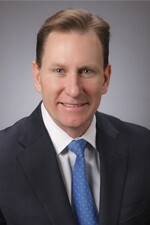 During his nearly ten years with the U.S. Attorney's Office, Ken tried 15 federal criminal cases, and led a number of significant investigations and prosecutions involving the federal securities and commodities laws, insider trading, FCPA, bribery, forfeiture, money laundering, obstruction of justice, perjury, trade secret theft, and bank, financial, health care, tax, and wire fraud. Ken oversaw the U.S. Attorney Office's bankruptcy fraud program. He also argued more than 10 appeals before the U.S. Court of Appeals. During his more than seven years with the SEC, Ken was the lead attorney on numerous high-profile investigations and prosecutions involving broker-dealers, investment advisers, public companies, accounting firms, officers and directors, and insider trading. Ken has extensive experience litigating in the SEC's administrative hearing process. Ken also worked on parallel SEC investigations with U.S. Attorney's Offices, the FBI, the U.S. Postal Inspection Service, the New York Attorney General's Office, and FINRA. During law school Ken served as a judicial intern to the Honorable Wayne R. Anderson, U.S. District Court, Northern District of Illinois. Before his legal career, Ken was a CPA. He passed the Uniform CPA Examination in 1992. Ken has successfully tried 16 cases in federal district court and in SEC Administrative Proceedings, argued nine cases before the U.S. Court of Appeals for the Seventh Circuit, and led many investigations. Aircraft leasing company and its CEO were convicted of investor fraud, bribery, and obstruction of justice in a seven week trial in United States v. Brian Hollnagel and BCI Aircraft Leasing, Inc., et al. Investment adviser for high net worth individuals was convicted of bank fraud in a two week trial in United States v. Robert Lunn. Commodities trader was convicted of theft of trade secrets in United States v. David Newman. Hedge fund manager was convicted of fraud in United States v. Neal Goyal. Concrete company owner was convicted of bankruptcy fraud in a one week trial in United States v. Ronald Laverdure. Aircraft leasing company executive was convicted of tax fraud in a one week trial in United States v. Christopher Keller. Pharmacy owner was convicted of healthcare fraud in a two week trial in United States v. Katrin Saroukhanian. Travel company owner was convicted of fraud in a two week trial in United States v. Rashid Minhas. Defendant was later convicted of selling fraudulent Hajj travel packages. Real estate investor was convicted of bank fraud, mortgage fraud, and obstruction of justice in a two week trial in United States v. Keith Austin. Investment adviser was barred from the industry for fraud in an SEC Administrative Proceeding in SEC v. Christopher A. Lowry.